Two days after PLA Daily, the mouthpiece of China's armed forces - People's Liberation Army - reacted sharply to India's plans to deploy BrahMos missile in Arunachal Pradesh, Indian forces have reported said it was not 'their business' to comment on the country's strategic and defence moves. 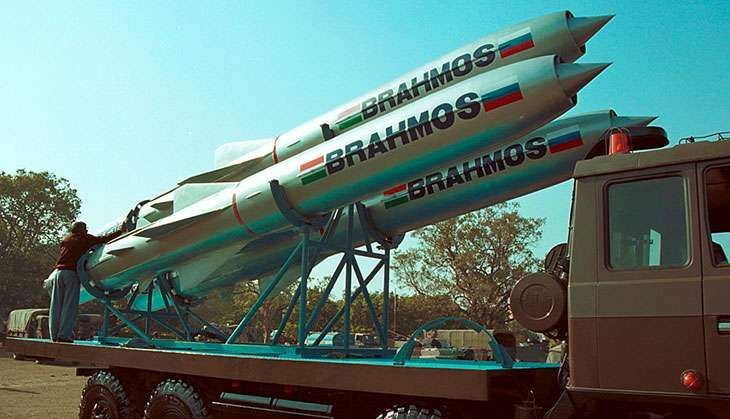 Earlier this month India had given a go-ahead to deploy a special version of BrahMos missiles in Arunachal Pradesh, and had sanctioned an expenditure of Rs 4,300 crore for it. This Sunday, PLA Daily, in a tone of warning, called India's move 'confrontational', in its weekend edition. It called the move by Indian forces a sign of 'nervousness' and added that it such a deployment went beyond India's "normal need for self-defence". On Tuesday a news outlet quoted unnamed army officials saying, "Our threat perceptions and security concerns are our own, and how we address these by deploying assets on our territory should be no one else's concern." In a bid to balance equations with China and maintain an effective deterrence, as well as to equip the Eastern sector for any eventuality, India had decided to deploy an advanced variant of Brahmos missiles in Arunachal Pradesh. The proposal to set up a regiment of such missiles was placed before Cabinet Committee on Security, chaired by PM Narendra Modi. Earlier this month, the committee cleared this fourth BrahMos regiment. The recent move by India can be seen in the context of the aggressive attitude China has maintained in case of Arunachal Pradesh. China has claimed several areas in Arunachal Pradesh for its own. And there have been disputes over the Line of Actual Control (LAC), which right now is the de facto border India shares with China. Like China, India has been building several new roads and on high-altitude airstrips in the area to give its troops better control of the region. The missile was under test by the Army and last known test of the missile in the Eastern sector was done in May 2015. The steep-dive attack cruise missile can hit enemy targets hidden in the shadows of mountains. The missile can be launched from multiple platforms like submarines, ships, aircrafts and land-based Mobile Autonomous Launchers (MAL). The missile can fly at 2.8 times the speed of sound. It can carry conventional warheads up to 300 kg. The 290-km range BrahMos is a tactical or non-nuclear missile with "nine times more kinetic energy than sub-sonic missiles" for greater destructive potential. Jointly developed with Russia, it has become the preferred precision-strike weapon for the Indian armed forces. The regiment consists of around 100 missiles, five mobile autonomous launchers on 12x12 heavy-duty trucks and a mobile command post. Military naval engineer Cheng Yuyi in an article in PLA Daily said, that India's deployment of the missile with updated capabilities for stealth and mountain warfare could threaten Yunnan and Tibet Autonomous Region (TAR) provinces, located across the border from Arunachal Pradesh which is claimed by China. The headline of the article was "Playing tricks, they are bound to suffer the consequences." "The deployment of the BrahMos missile...is bound to increase the competitiveness and rivalry in the Sino-Indian relationship and negatively impact the region," the piece said. Cheng compared the BrahMos to "an agile cobra, poised for action in no time", and said it can improve the "suddenness and effectiveness of attack by shortening the time gap between finding and hitting the target".